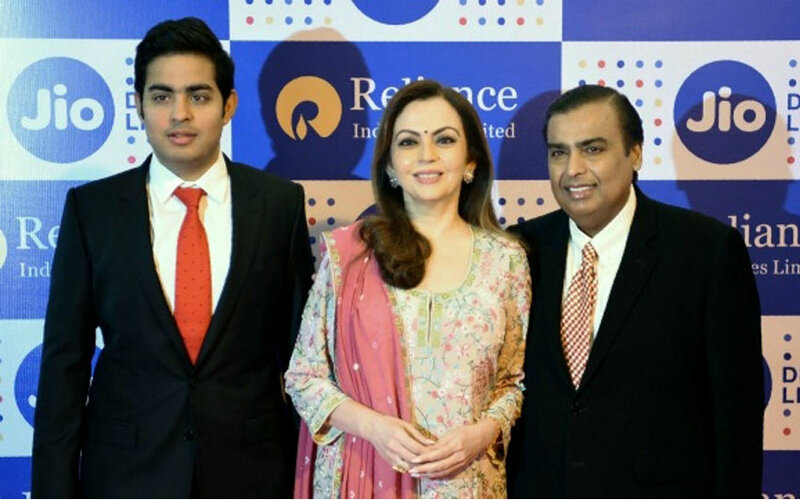 Mukesh Ambani’s Reliance AGM Speech: The game changer of Indian Telecom service, Mukesh Ambani. He started his speech at Annual General Meeting (AGM) on 11:30 am today morning, September 1, 2016. Because of his 45 minutes speech, the two telecom services such as Bharti Airtel, Idea Cellular lost Rs 14,800 crore. Apart from the Airtel and Idea, the Reliance Communications has also down to its stock as 6.49 per cent. The Bharati Airtel slumped 8.99 per cent and the idea Cellular slumped 9.09 per cent. As per the report of the economics times, Totally the Airtel lost Rs 12,000 crore and Idea lost its Rs 2,800 crore in the market value. You can able to see the lowest rate of Airtel and Idea on the Image given below. The Airtel marks to the low of Rs 301.50 and Idea hits the low of Rs 85.00 on the BSE. Mukesh Ambani: # We have price points starting from Rs 19 for the occasional data user, to a monthly rate of Rs 149 plan for the light data user and all the way up to a monthly Rs 4,999 plan for the heaviest data user. # Today Reliance Jio is available in 18000 cities and towns and two lakh villages. By March 2017, we will cover 90% of India’s population. Stay tuned for more Updates about Reliance Jio Tariff plans and Ambani’s Reliance AGM quotes.